The PGA Championship, considered by some to be the forgotten major, comes to us a little early this year thanks to golf's return to the Summer Olympics. And once again, it returns to the iconic Tillinghast course, Baltusrol, for the second time. 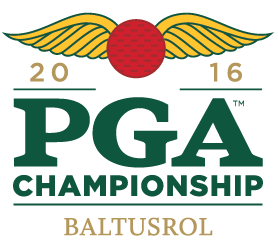 The PGA always features a strong field and this edition is the strongest yet. Who will claim golf's last chance at a major for 2016? Here are my predictions. Will the fact that the PGA comes so soon after that spectacular Open Championship throw a wrench into the play this weekend? There has not been as much of an opportunity for the build-up to grow ahead of this weekend, not exactly a great thing for a tournament that often lacks the hype that the three other majors receive. Who doesn't love a good fun fact? Here's a glorious one for you, every major this year has seen a first-time major champion. Danny Willett at Augusta, Dustin Johnson at Oakmont and Henrik Stenson at Royal Troon all cracked the major glass thus far, could that mean that somebody similar be in store this weekend in New Jersey? In that case, all eyes are on Sergio Garcia. A chic pick to win the Open Championship before finishing tied for fifth, Garcia has been playing some of his best golf this season and especially so of late following a win at the AT&T Byron Nelson and the fifth-place finishes at the last two majors. He said earlier today that he's "not going to go in a cave" if he doesn't win a major but let's not act like him winning one would be a big deal. For what it's worth, I did pooh-pooh him winning at Troon two weeks ago but you know what, I'm taking Sergio Garcia this weekend. Quite frankly, it's time. I am not a fan of Sergio Garcia but sure is surprising that he's in the weekend for this event. I was thinking someone like Bubba Watson would be the man would claim this title. I don't see it now because how far back but anything can happen in golf.